You may remember a DIY Incense Burner I made earlier this year. I never expected this, but that post gets read every day! It's actually one of my most popular posts. Since it seems to be something so in-demand that readers are searching for, I decided to make a new burner. 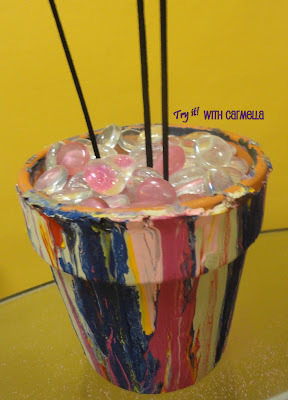 You can read about my 1st DIY Incense Burner here. This time, instead of using a sponge to apply paint to the terracotta pot, I tried a new method I saw on Pinterest. I didn't follow this method exactly, but rather used my own technique with the paint idea as inspiration. As you can see, I placed my empty terracotta pot upside down onto a cardboard box to catch the excess paint. 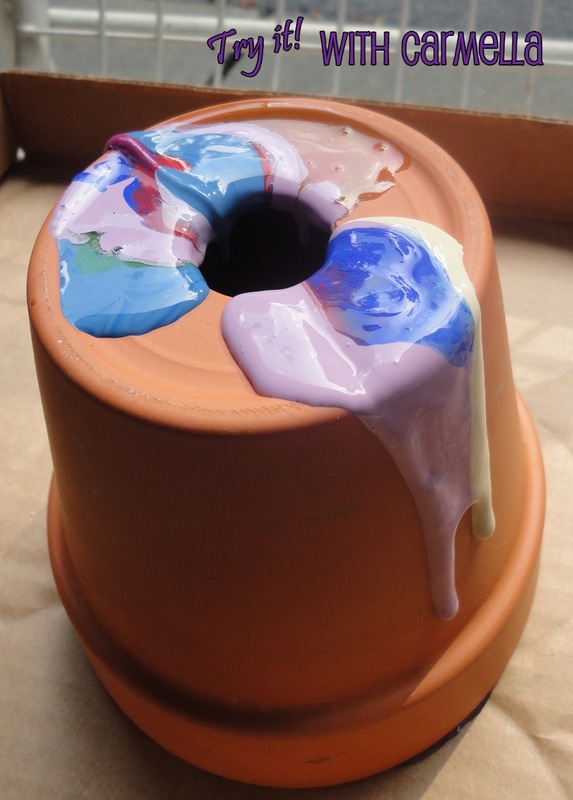 Then, I placed circles of paint onto the top of pot (technically the bottom! ), layering colors as I applied. 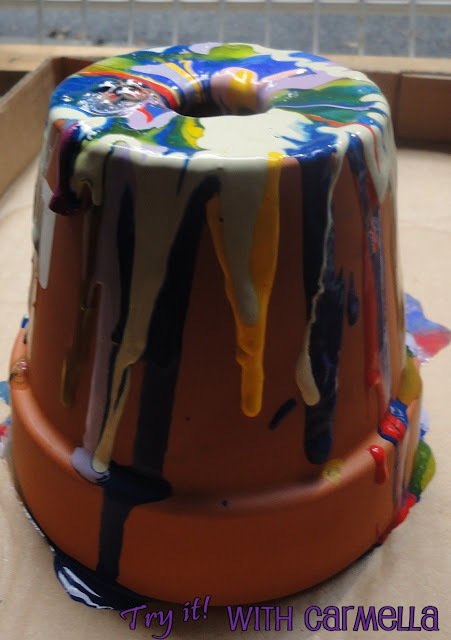 The paint was then supposed to become so heavy that it would pour over onto the sides of the pot. But because my pot had a hole in the middle, it didn't work! So, I let each color of paint drip down the sides of the pot in more of a scattered line formation (instead of the awesome "pour-paint" look.) Still, this alteration is just another option, right?! 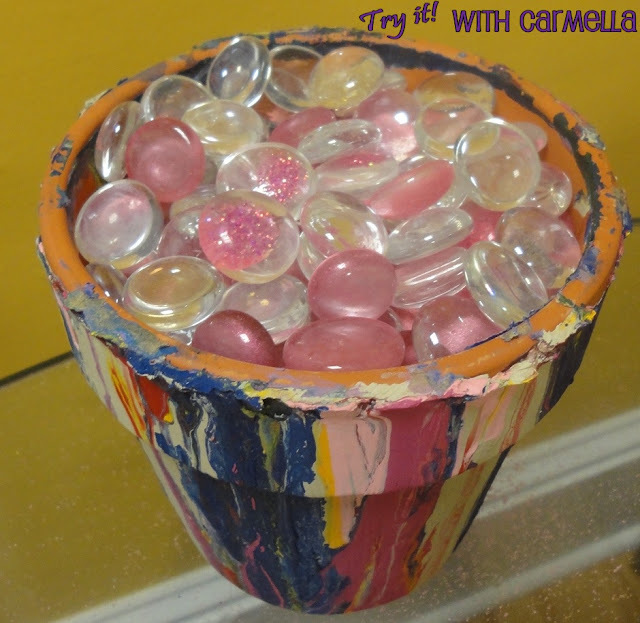 Once the pot was dry, I just filled it with sand and then topped it off with stones.